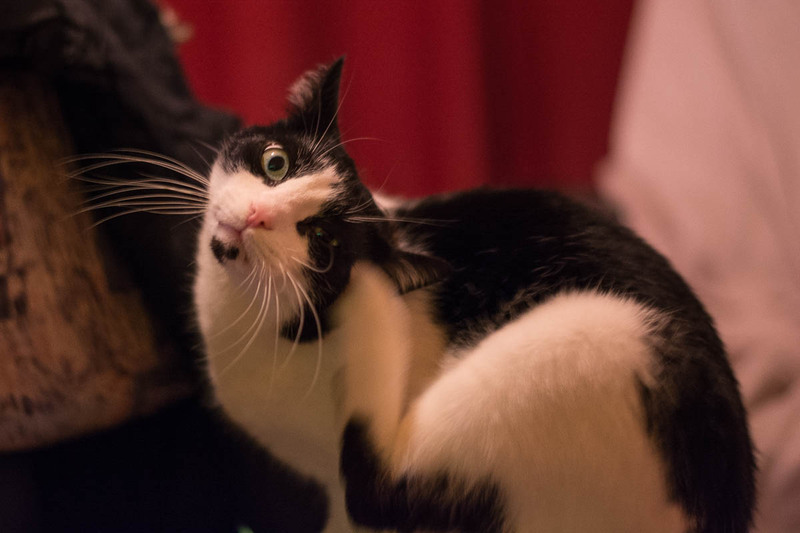 Here is a funny photo that I shot some time ago when I noticed that my cat Shyna did scratch her ears. Cats always look funny when they groom themselves. I ruffle the fur on her ears sometimes too, and since I started this, she does at times come to me and demands it. I know that because she is basically showing her ears like “Hey there, can you please scratch a bit on my ears like you did yesterday?”. Cats will notice it if you have more skills other than opening cat food cans (laugh). I hope you laughed about the photo! [ Smiles ] You might think that this photo is funny; but I think that it is cute! I find cats grooming themselves amusing, too! My kitties both enjoy me scratching their heads and ears, but (as Persian kitties), they especially like it when I rub the=at spot between their eyes that they can’t reach.